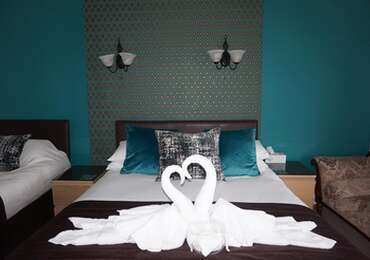 The Havelock was originally built as a gentleman's residence and over the years has been sympathetically renovated and extended to provide a mixture of 22 superb bedrooms and family suites. Set in attractive gardens, with lovely sea views and with it's own Mediterranean style heated pool (open mid-May to early-September), we offer the ideal location to relax and unwind. 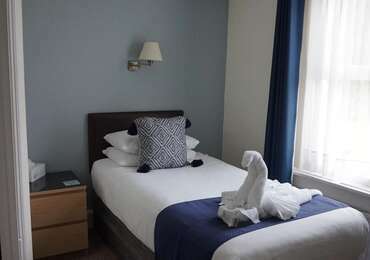 Large room with king size bed (5ft), en-suite and balcony with sea views on the 1st floor. .